It’s all over the media. 104 nuclear reactors in the US. But that is just commercial plants. Did you know there are dozens and dozens of other reactors in the US that aren’t included in this list? Well there are and they might be in your hometown. 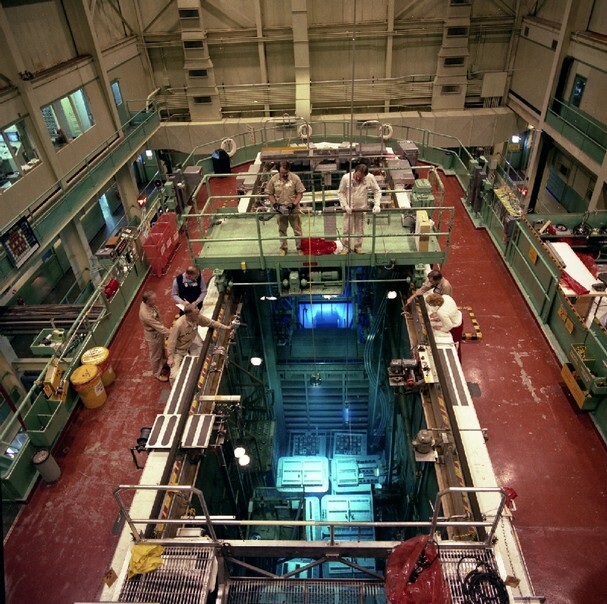 They are called “Research Reactors” and a full list of North American Research reactors can be found here. To date approximately 670 Research reactors (RR) have been built, and of those, 246 reactors in 56 countries continue to operate. Half are now over 45 years old. Many do not meet today’s technological and safety standards. Their fuel requirements include uranium with much higher enrichment than that of commercial power reactors (typically ~20% U-235). Some still use “highly enriched uranium fuel” (HEU) containing 93% U-235! Storage of spent fuels is a problem just as it is with commercial reactors . Currently, spent fuels which will be dangerous for 100,000 years are stored in pools and tanks at the reactor location. The US has no centralized off-site program for storing radioactive waste from research reactors, just as it has none for commercial reactors. While the International Atomic Energy Agency (IAEA) has expressed concern with the spent fuel issue, they are still entertaining plans by Member States to build new RRs with little or no experience in this domain. One issue that has been known since the early 1990s is corrosion induced degradation of the fuel cladding. This was observed in many of the pools. Download the full list of North American Research reactors here and check to see if there is one active in your state. Even if one is listed and has been decommissioned, it is likely that spent fuel is still stored at the site. Start making calls to your state EPA and ask who is responsible for overseeing the safety of the research reactors in your state. Ask for written reports. Call your state elected officials and express concern. It is likely that they are not aware of the issue – email them a copy of the list that I have provided. Educate yourself and demand accountability.